Step out this holiday season looking and feeling your best with the Moroccanoil Everlasting Hydration gift set. This limited-edition set comes in a keepsake tin, featuring year-round replenishing essentials to restore hair’s natural moisture balance. • Hydrating Shampoo (8.5 FL.OZ. / 250 ml) – a gentle, daily-use shampoo that instantly infuses all hair types with hydration. • Hydrating Conditioner (8.5 FL.OZ. / 250 ml) – a nourishing, daily-use conditioner offering optimal hydration for all hair types. 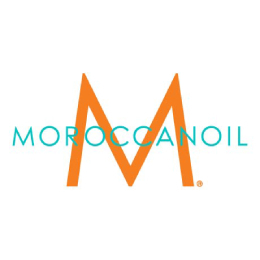 • Moroccanoil Treatment (0.85 FL.OZ. / 25 ml) – is an argan oil-infused conditioning, styling and finishing tool that sets the perfect foundation for hairstyling. • Hydrating Shampoo: Massage throughout wet hair and scalp. Continue to add water to activate a rich lather from the highly concentrated formula. Rinse thoroughly until water runs clear. • Hydrating Conditioner: After shampooing, squeeze excess water and apply from mid-length to ends.